When it comes to selecting a surface for your driveway, you may be torn between concrete and asphalt – the two most popular driveway options. But nothing beats the look, feel, value and durability of concrete. Here a few reasons you should choose concrete for your driveway. A concrete driveway makes the right first impression. It’s literally the first thing guests walk or drive up when they come to your house. Concrete’s clean look is always attractive. Concrete will also bounce any available light when it’s dark out, making it more visible at night, especially when compared to asphalt. Prospective homebuyers will always pick concrete over asphalt too, making your house more attractive if you ever choose to sell. If you’ve ever walked barefoot on asphalt on an August afternoon in Saskatchewan, you already know how scorching hot it can get. It can also get tacky in high heat and you risk tracking oily asphalt sealer into your house and other parts of your yard. Concrete keeps you and your feet cool, clean and comfortable in any weather. It doesn’t trap heat like asphalt and is easy to sweep. Concrete’s non-skid surface also makes it safer to walk and drive on, especially in wet or winter weather. 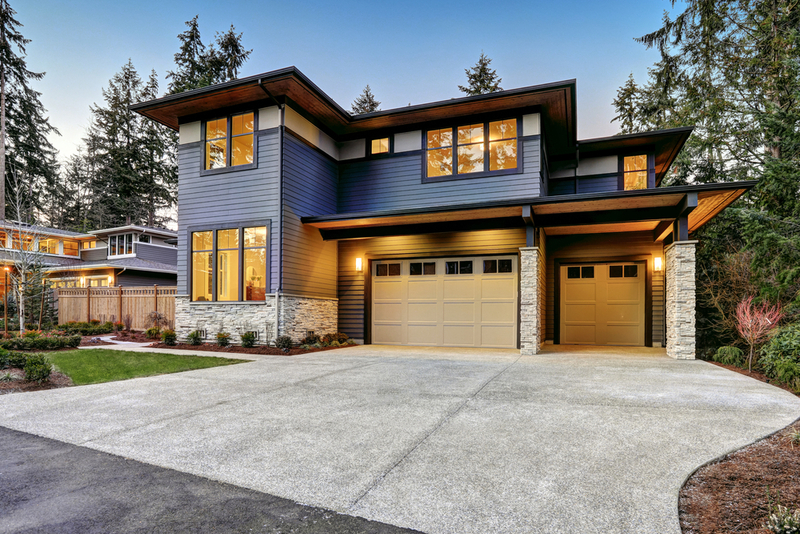 Concrete is one of the most durable driveway materials out there. While it may cost a bit more than materials like asphalt, you will save money in the long term. Concrete usually lasts close to three times as long as asphalt, which equals less repair and replacement costs. It also takes less maintenance than asphalt, which requires reapplication of oily, smelly and messy asphalt coating every few years. A concrete driveway is an investment in long-term beauty for your house that’s easy to care for. Contact our team today to discuss the perfect driveway option for your home.